The whole reason I started this company was to deliver a product to the central Ohio market that was the best refinishing option available. It had to look fantastic as well as be durable for my customers hard earned money. My true passion is delivering fantastic custom finishes so that my Home owners can be thrilled with their kitchen again. When building my company I wanted employees who cared as much as I do. Keeping that in mind, I would like to introduce you to my team…..
April G.- Senior Refinishing Technician – April is a devoted mother of 3 who enjoys supporting her family and spending time with them. She got her start in her hometown of Marysville, at just age 13. 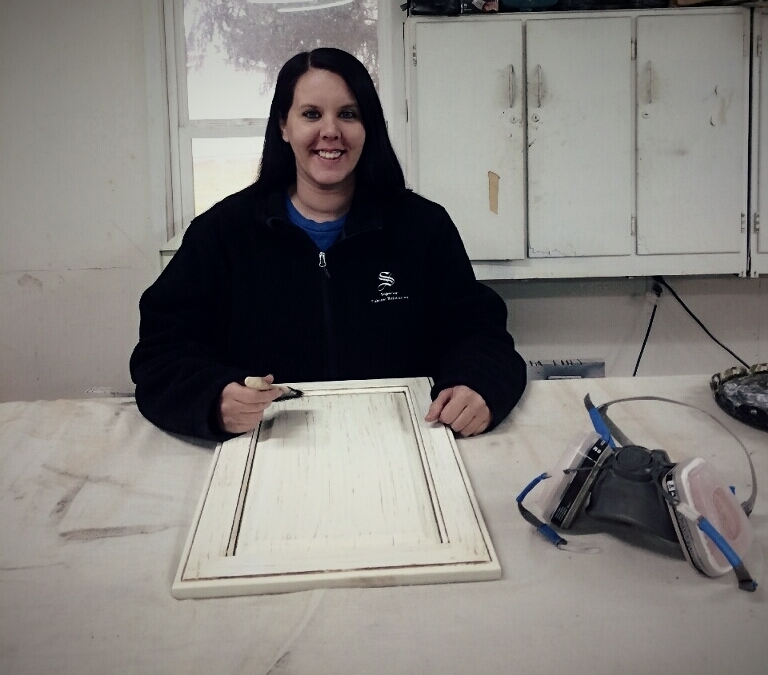 She mentored with her dad in his Custom finish cabinet shop. This is where she discovered her passion for the art of finishing. Our company was very fortunate to be able to gain her as well as her skill and creativity for the art of refinishing. 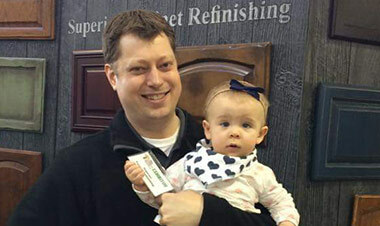 Our owner Curtis always says that April is the most talented refinisher that he has worked with in the last 5 years. Her impeccable eye for minute detail is a skill that just cannot be trained.